A friend of mine and her partner recently moved to my old patch Northcote, Melbourne on their Australian work/holiday Visa and asked me for some tips of things to do in Northcote. As soon as I started thinking I realised I had a lot of great memories in Northcote and had quite the list! Northcote, Melbourne. Photo Source: Herbert, Northcote. For me Northcote is a great place to live, it’s cheaper than trendy Fitzroy, has great transport links – the 86 and 11 tram and a train station, and it’s easier to get to Fitzroy than it is from popular Brunswick. Living in ‘coffee loving’ Melbourne means you have a local, independent coffee shop rather than a local pub. 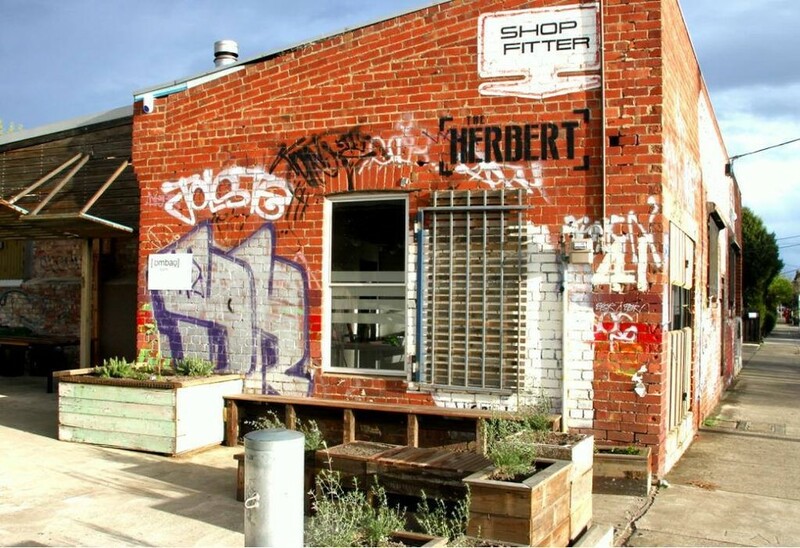 My local was The Herbert, located next to Northcote train station. They brew local coffee – Padre, and serve up delicious Aussie brunches – i.e lots of options involving avocados. Melbourne really is a foodies’ haven. My British friends and I would often joke that a proper ‘Melbourne Day’ consisted of a day of travelling round the city and eating. Why did I leave again? Lentils As Anything – There’s a few of these in Melbourne and technically this is in Preston, but it’s on the same stretch of road from Northcote, so you can walk there or get the 86 tram. I regret not getting round to volunteering at Lentils As Anything, it’s a great community project where patrons ‘pay what they feel for the meal.’ All the food they serve is vegan or vegetarian. The service is terrible, but remember the whole project runs off volunteers and food donations. Be sure to try the fried vegetable pakora and the chai latte! Yum! 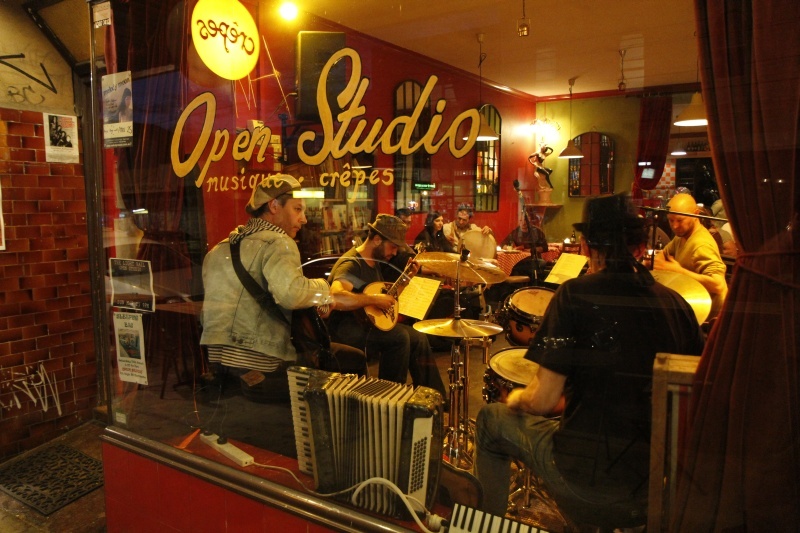 Open Studio – This french themed creperie offers up a tasty selection of savory and sweet crepes. There’s also, because it’s Melbourne, some great GF and vegan options available too. What I also love about this place is the atmosphere! Come evening time there will often be a live brass or swing band playing and someone will probably pull you up to dance with them. A fun place to visit in the evening. The Northcote Social Club is the place to go for cheap drinks and to check out Melbourne’s live music scene. They have a huge seating area and a big beer garden too. On Mondays its free live music all evening! 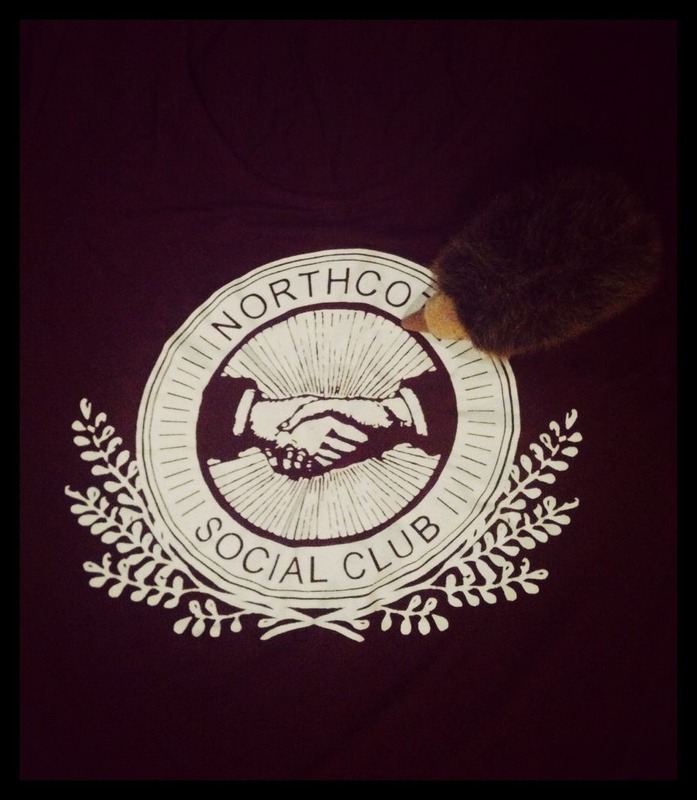 Representing the Northcote Social Club in the UK with my tee. The Aussie Echidna approves! There’s some really nice parks to go for a run, walk or to even Geo Cache in Northcote. 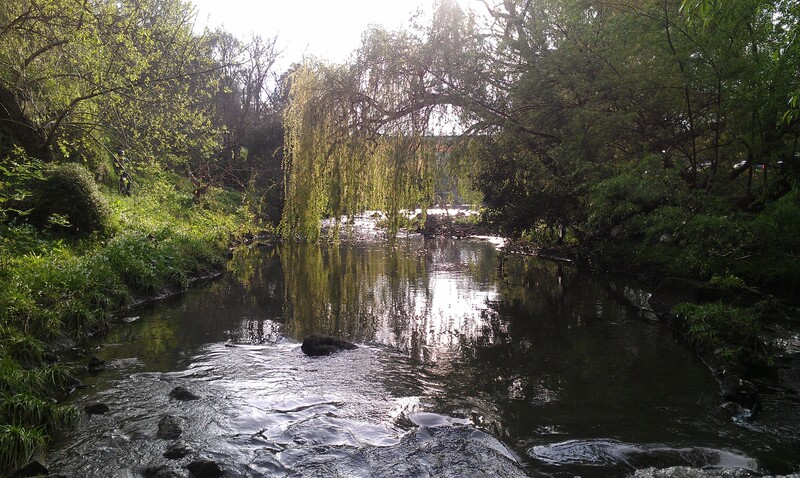 Merri park is probably the most beautiful, as you can follow the Merri Creek . There’s also a baseball pitch here if you’ve never seen a game. All Nations park is definitely worth checking out in the Summer, there’s some free to use BBQs (such a good idea) and a mini skate park. You’re right near Coles and a bottle shop too if you need extra supplies. That’s Sundays sorted then. Ceres Community Environment Park – it’s perhaps the epitome of what it’s like living in Melbourne! 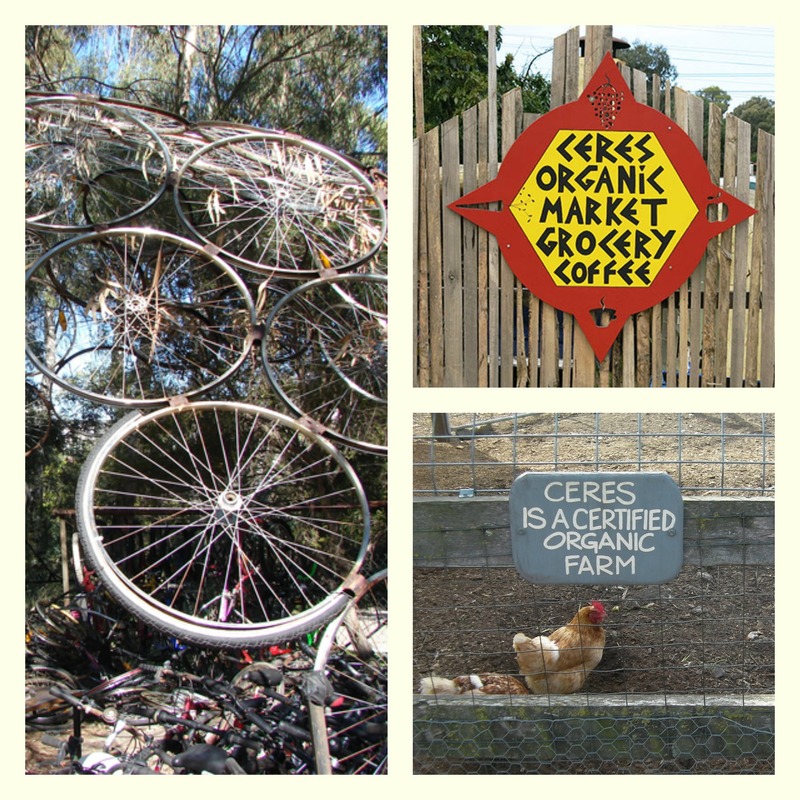 Ceres’s park is all about ‘sustainability, community, and mindfulness of our planet.’ There’s a permaculture and bushfood nursery here, a book exchange in an old bread cove, a daily, organic market selling goods from local suppliers including ‘biodynamic sausages’ and a cafe where you’ll find many vegan and gluten free options. I never made it to one but I know there’s plenty of workshops and live music gigs here too. There’s also the ‘bike shed’ which looks like a place where old, rusty bikes have come to die. But in reality, it’s a place where you can fix up, modify or even create a bike from scratch using these old bikes and with the help of the lovely volunteers. All you need is patience and an annual membership for $10 and you can go and take all the second hand parts you want! Here I got a chain fixed, a new bike pedal and my handle bars and brakes serviced. So there it is, a little slice of my life living in Northcote, Melbourne and what I recommend about the place. Let me know if you have any suggestions – I’d really love to hear them.